In 1897 a simple bucket brigade extending from the beach to the intersection of Prospect and Maple failed to save the 500-room Hotel Irving from being destroyed by fire. This disaster prompted formation of Lake Bluff’s volunteer fire department. 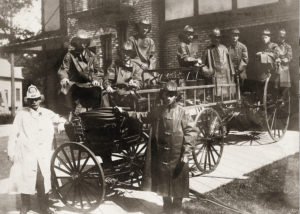 Village records reflect establishment of a volunteer fire department as an independent organization in the early 1900s. 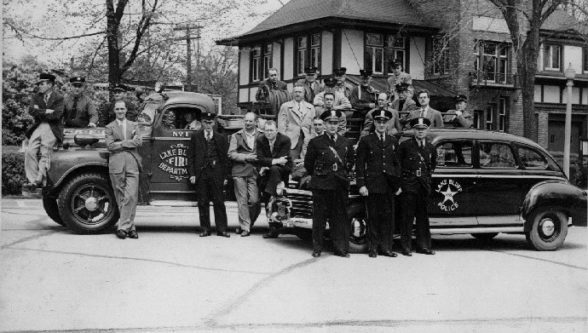 In 1929 the Village Board passed an ordinance establishing “a department of the municipal government of the Village of Lake Bluff which shall be known as the fire department”. 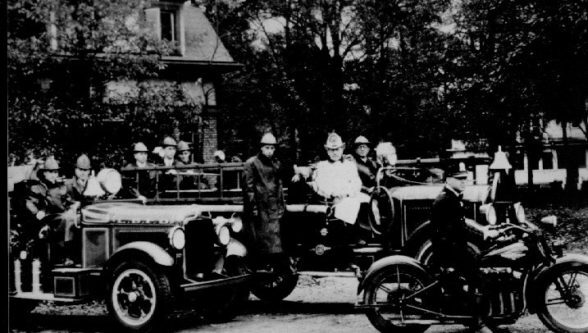 Ernest Goudy served as the first fire chief, followed by brothers Charles and August (Gus) Shinsky. Charles Helming, proprietor of the grocery store now known as the Be Market, was appointed chief in 1912 and served for over 30 years. Historical records suggest that several other individuals may also have served briefly as chief over the years. 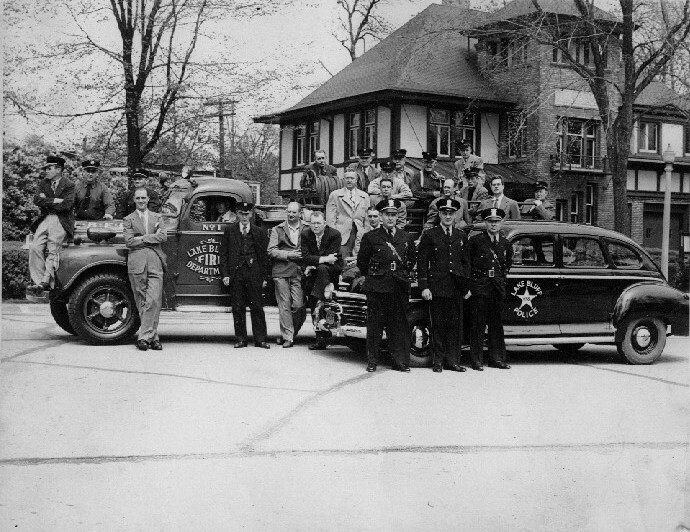 Helming retained the title of Honorary Chief from his retirement until his death in 1963. More recent fire chiefs are Thomas Evert (1946-1976), Howard Monroe (1976-1980), Robert Graham (1980-2006), David Graf (2006-present). The volunteer forces in the early decades typically numbered in the teens. By the 1950s the department had 20 regular volunteer members. Beginning in the 1970s there was increased emphasis on recruitment and upgrading training and equipment. 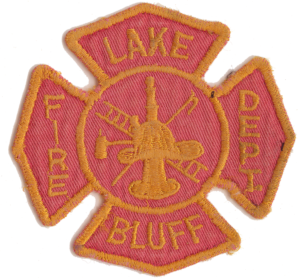 In the October 22, 1979 issue of Fortune Magazine, the Lake Bluff Fire Department was one of two suburban volunteer fire departments nation-wide featured in a laudatory article about the important contributions of high caliber volunteer fire departments. There are currently 48 dedicated men and women serving the department, and the high quality of their training and performance has earned Lake Bluff the Illinois Insurance Services Office’s highest possible rating for quality of service for an all-volunteer force. 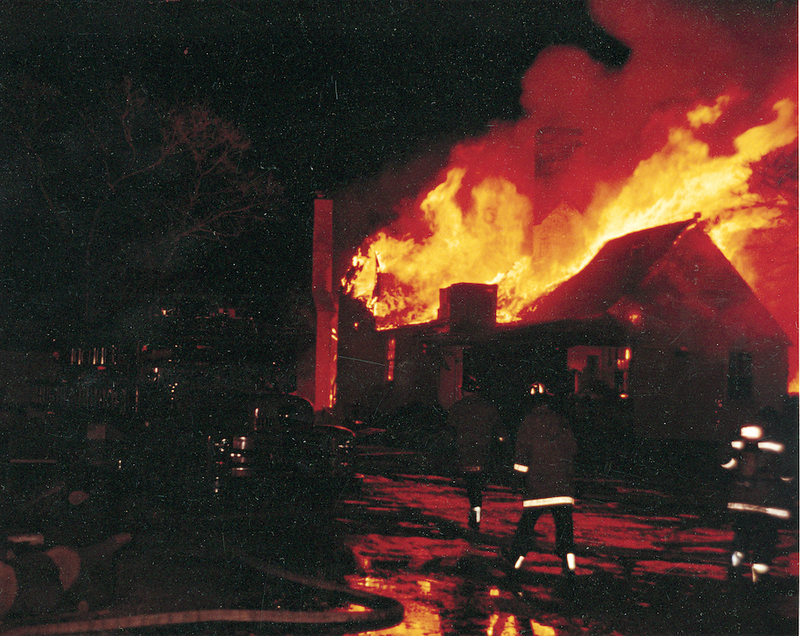 Prior to 1934, all fire and police operations were located in the Village Hall, built in 1905. The tower of the Village Hall was designed, but not used, to pull up and dry 50-foot lengths of hose. 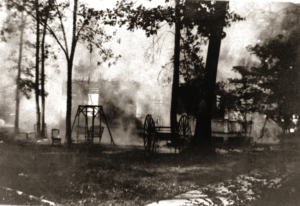 In 1910, through the generosity of Lake Bluff resident John Murdoch, a “club house” for the volunteer firemen was created in the Village Hall. In 1934, the Fire Department moved to the Village Service Building, constructed as a project of the depression-era Civil Works Administration and located on the site of the present Public Safety Building. The building also housed public works and the village’s well-water pumping system. An addition to the building, in 1966, and completion of a new public works facility on Rockland Road in 1983, provided additional space for the Fire Department at the Service Building. In 1988, the Fire Department moved to new facilities in the current Public Safety Building. 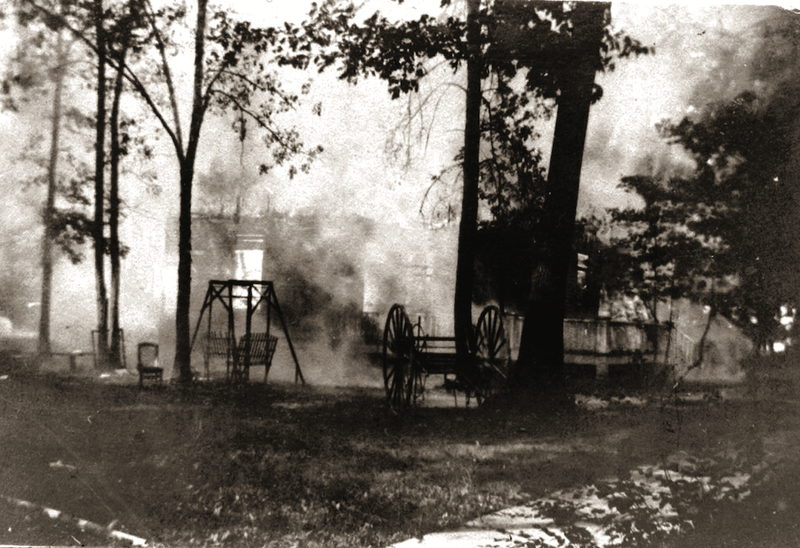 Simple hand-pulled or horse-drawn equipment was all that the early “Fire Laddies” had as they struggled valiantly to put out fires in vulnerable wooden buildings. 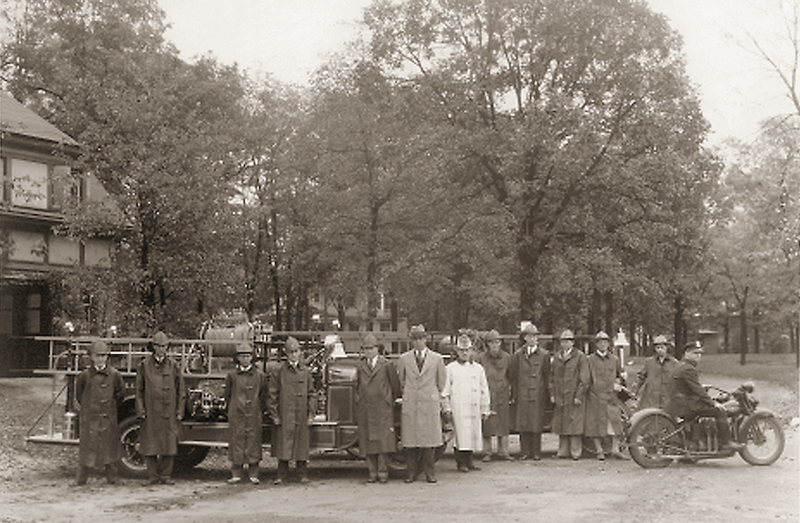 Although Lake Bluff had fire hydrants by 1910, the water pressure was inadequate for fire-fighting purposes. 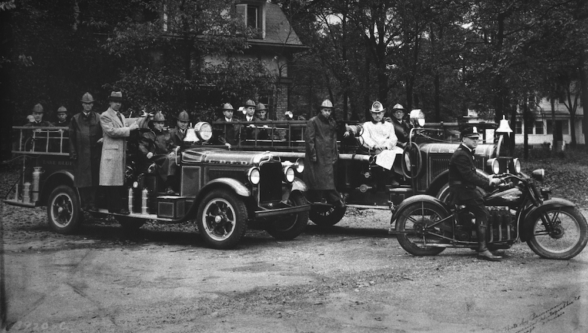 Most early fire department vehicles were “hand-me-downs” or “rebuilts.” In 1917, Stanley Field donated a motorized vehicle chassis which the volunteers outfitted to carry hose and other equipment. 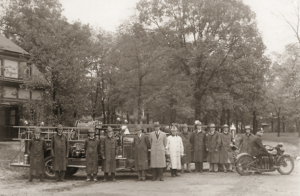 In the 1920s, the village purchased a pumper truck and a chemical truck. 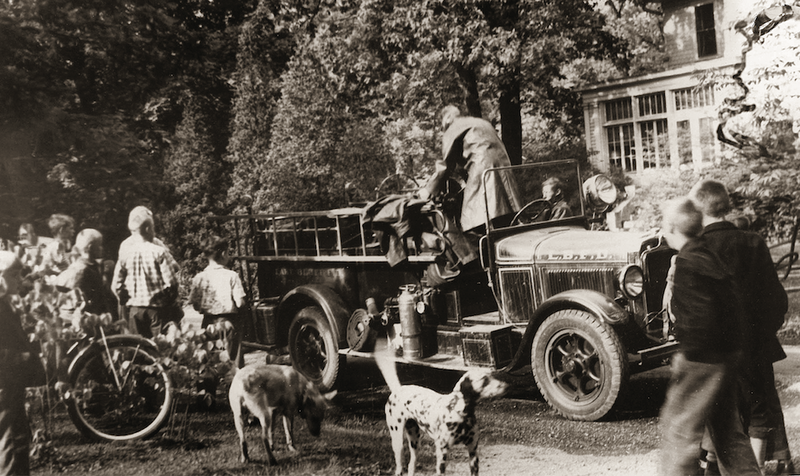 In 1948, the department purchased an International fire truck and retired one of its older engines: another new pumper was acquired in the 1950s. In the late 1970s, a revitalized volunteer department requested that the Village Board purchase a new pumper to upgrade the substandard vehicles in service, and in 1978 a new Seagrave pumper was dedicated. The name Firecracker resulted from a “Name the Fire Truck” contest at East and Central Schools. Subsequently acquired engines have also been named by this process. 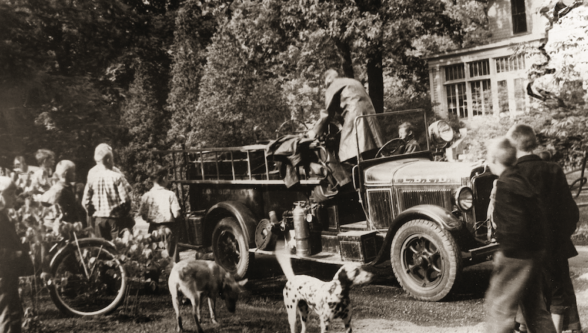 In the early days, volunteer firemen were called to the scene by the ringing of a tower bell, which eventually was replaced by a siren heard throughout the village. Before the introduction of dispatch services, emergency fire calls rang in the fire station, Village Hall and the home of the fire chief or one of the firemen. The Fire Department has a long tradition of community outreach, with the most prominent projects being its programs of smoke detector installation and fire safety home inspection. 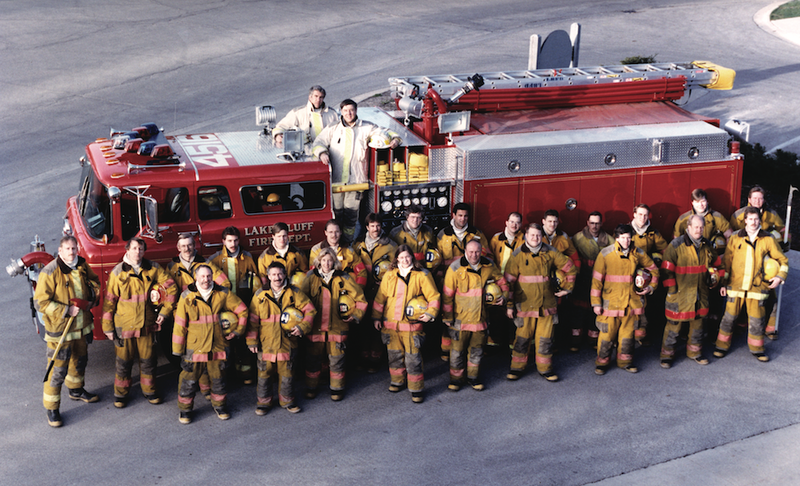 The annual Firemen’s Ball, initiated in 1976, has contributed significantly to the acquisition of new equipment. The department also sponsors Santa’s annual ride on a fire truck through the streets of Lake Bluff. The Firefighter’s Memorial Bell, located outside the Public Safety Building and commemorating Lake Bluff’s volunteer firefighters, was dedicated in 1995 as a part of the Lake Bluff Centennial.